Back with the second installment in this three part series on book launch pages, Ben De Rienzo and the Booklaunch.io team outline the key ingredients to make your book page sizzle! Book launch pages are all the rage these days among authors, and for good reason—they capture reader attention and catapult book sales. Jason SurfrApp launched his most recent book with a crazy-awesome book launch page. As of this writing, his book has a near perfect 5.0 star Amazon review average across almost 100 reviews. Wow! All book launch pages have different creative angles, but all share a similar DNA. 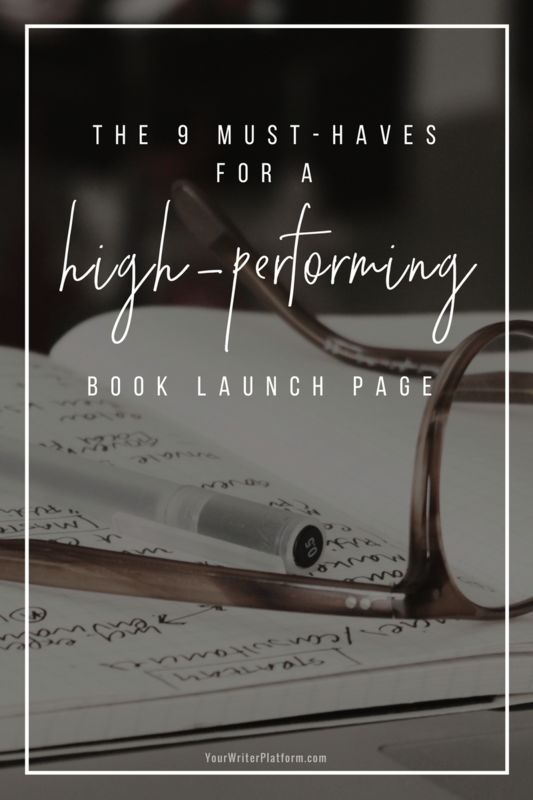 If you want to harness the power of a book launch page, then yours needs to have the following elements. Add these to your page and your book will be positioned for success. If you don’t have a captivating book cover image, you need one. Once it’s created, you need to feature it at the very top of your book launch page. By doing so, you make a great first impression with your prospective reader. The captivating cover affirms that you are a professional author who has put quality time and care into creating your book. And it sets the tone for the rest of the book launch page. Add an attention-grabbing headline somewhere near your featured cover image. Craft this headline to not only command attention but to also convey the value of your book. Impress the reader with what your book promises to do for them. That promise could be to solve some pressing problem. It could be to entertain them with an amazing story. It could be to challenge their thinking in a way that will stimulate personal or professional growth. Some readers won’t require much convincing to purchase your book. Your captivating book cover image and irresistible headline may be enough. Make the purchase decision easy-peasy for these fabulous individuals by including a buy now button “above the fold.” If you don’t, you risk losing their interest (and their purchase decision) the longer they must scroll down your book launch page to find the purchase button(s). Book trailer videos are becoming more common throughout the publishing industry. High-profile authors like Ryan Holiday, Arianna Huffington, and Seth Godin use book trailer videos to add further intrigue about their books, which elevates the urge to purchase their books. You don’t need to create a book trailer video yourself, but if you do you’d be silly not to include it on your book launch page. And for big league authors, a book trailer video is a near must-have these days. If you want your casual readers to become true fans, then you must get personal. Sharing a personal bio statement is a great place to start. By offering some details into your life and career that are human and relatable, you increase the odds that your readers will see themselves in you and your work. You don’t have to get too intimate, but some selective insights that are a bit vulnerable and showcase your originality can go a long way to winning the hearts and minds of your fans. Everyone enjoys a free taste-test. Readers enjoy a free preview too. Smart authors capitalize on this shopping habit by offering some kind of sneak peak into their books. Some offer a free chapter of their book either directly on their book launch page or via an email subscription. Others simply describe the benefits of the book in detail—sharing what the reader will learn and how that information will change their lives. It’s worth noting that your sneak peak should be more than just a book trailer video. The book trailer video should be the cherry on top; the sneak peak is the ice cream sundae with caramel sauce! Book blurbs are as old as books themselves. They remain in vogue because they are so effective. Readers enjoy knowing that other people like them have read and appreciated your book. Such “social acceptance” neutralizes concerns that your book won’t appeal to them. Tap into your beta readers to collect such endorsements before you publish your book launch page. This approach is a surefire way to cultivate the kinds of endorsements that are authentic and specific to the aspects of your book that you want to highlight. If you’re a fan of reading books as much as writing them, then you know that books are one of the most talked about products of all time. The human instinct to share book recommendations is legendary. The Internet only makes sharing such book recommendations easier. Tap into this natural human behavior by allowing readers who visit your book launch page to share it on social media. If they truly like what your book stands for and promises to provide, make it easy for them to share the word. If you win over the visitors to your book launch page, they likely want more from you. “More” can take on a variety of forms. Exclusive content from you is one of the most common interests. Thus, many authors offer exclusive content to their readers who subscribe to a special email list. Perhaps those readers get an extra bonus chapter of your book, unpublished research notes or backstories, an invitation to a private book launch party, or the chance to win a bundle of book-related bonuses. A good book represents a gateway into a larger experience. Don’t keep the door shut on this gateway; provide a way for your true fans to walk through and get more. What are you going to do with this book launch knowledge? You could spend countless hours building your own book launch page on a highly-technical platform like WordPress. You could spend countless dollars on a creative professional to design, build, and implement a book launch page for you. Or you could spend less than 10 minutes and less than $10 dollars customizing a beautiful Booklaunch.io book launch page. Whichever path you pursue, don’t forget to incorporate these 9 must-haves. Authors are using these elements all the time for their book launch pages for a universal reason: They help authors sell more books. Now you have the knowledge to craft a crazy-awesome book launch page – are you ready to take action? In the first post of this three-part series, we revealed a key component to launching your book with a bang. In this, the second post in the series, we uncovered the must-dos to make your book launch page a success. In the third and final post, we’ll tackle how you can keep the momentum rolling post-launch – to fuel future book sales and your author career. Let’s hear what you think in the comments below. Dynamite information and all I can say after reading this is HELP! I’m 83 the Grandma Moses of the writing community. After an acting career in NYC, I lost my good voice and turned creative juices to writing. My first book, To Be Continued was published by Vanilla Heart Publishing and I’ve been with this small company for five years. Eighteen stories published and time is fleet. There’s just so much I can do beside taking care of my young granddaughter, my dear husband, three cats and writing every day. I’m whining, I know but often the task of promotion is overwhelming and I’m positive I’m not doing all I can to bring my humorous poignant survive and thrive stories to the readers. Thanks for a wonderful guide to success. Holy smokes, Charmaine! Eighteen published stories after your acting career? The new Booklaunch.io software is really changing the lives or newbie authors everywhere. It can definitely be a game changer for those authors who struggle with the cost and technical aspects of creating a book website or landing page. Plus, if you take these tips and apply them, even new authors can create a book page comparable to the professionally (expensively) designed sites of top bestselling authors. This sounds great, interested for sure! What do you think about a gift with purchase idea? After you purchase the ebook, let’s say, contact the author for the free gift–something like a mug featuring the book cover or refrigerator magnates. It would either have to be for a limited time as the cost would exceed the price of the book or perhaps a once a month drawing from the names. Think more along the lines of: a bonus chapter (perhaps from another character’s POV), a link to a video interview of you discussing the book, access to an audio version of the book, or maybe a free download of an another ebook, guide or short story you’ve written. The key is to find something that your ideal readers will value, and when combined with your book, it becomes a no-brainer to buy. Thank you for the invaluable information! I just completed my first manuscript “The Problem with Perfect.” I’ve got a great story to share, but it doesn’t matter unless the world knows where to find it! I nearly lost my life to a 13 year battle with Crohn’s Disease in 2006. I kept delaying surgery because I was horrified of the result. Eventually, my large intestine ruptured and my body went into septic shock. I spent 3 weeks in the ICU and another 2 months in the hospital. Long story short, I am now a semi-professional triathlete with global sponsors and am living the life of my dreams. The premise of my book is that perfection is not the goal of life, but that purpose is. I chased perfection and it nearly killed me. I found purpose on the other side of crisis and feel the deep conviction to share my “Purpose Process.” My publishing deal is a “Hybrid Self Publishing” arrangement with Thomas Nelson. I need to grow my email list leading up to my launch and you have just given me some FANTASTIC ideas. Thank you again! My five year old son has Crohn’s, so I understand a bit of what you must have gone through. Kudos to you, Bo, for having the courage and the tenacity to keep moving forward, despite your struggle with the disease. Your book sounds very compelling – it’s important that you get into the hands of those who can most benefit from it. If you need more list building help, also check out the Email List Building Series. Kimberley, thank you very much for the encouragement mam. I will absolutely follow your guidance. In the meantime, what is your son’s name so I can be sure to pray for him? 1. should I continue to create a unique domain and book launch page for each book I write? 2. should I create a site for my publishing entity CWP Publishing, with each book there? Ideally the answer is “yes” to all three of your questions; the more points of contact you can create, the better. However, the quality of your contact with readers is also extremely important. If creating a book launch page for each of your books, as well as creating, managing and producing content for two additional websites/blogs will excessively drain your time and resources – don’t do it. Using a tool like Booklaunch.io makes it a no-brainer to create a book launch page for each book – so I think that’s an easy to-do. But, as for your website/blog options, consider which will give you a bigger return on investment. Or which will provide enough income that you could possibly hire an assistant to help with the second site? What is your primary goal: to build an audience around your writing and sell more books, or to build your publishing business? It doesn’t have to be an either/or, but it will require a lot of effort to maintain both. Kimberley, thanks so much for these outstanding tips. I’ve just published my debut novel, and you really challenged me to turn my book page on my website into something much more intentional and extroverted. OptimizePress looks like another way to go to create fabulous book pages! Thank you, too, for the positive feedback! I love helping writers, so it’s super rewarding to know that what I’m sharing is making a difference. This is an excellent article and very timely for me too! Thank you for explaining in such detail about how to create a book launch page. I’m bookmarking this page on Evernote to return to shortly when it will be my turn to publish! Sterling advice, Kimberley! I have bookmarked your pages so that I can easily go back and reference your suggestions. 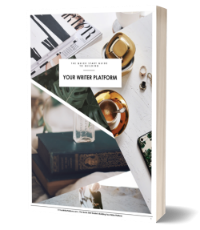 I have published with Balboa which is a hybrid of self-traditional publishing (Hay House) and I work with a dynamite marketing advisor, but there is still so much for an author to do to insure the success of their book.Your advice is simple, clear and doable. My big takeaways were the book trailer that is simple to put together (I’m already writing the script in my head) and the book bloggers lists. I also appreciated your candor about reviews and their relevance. (I’m referencing two posts here I think) Yes, and the idea of approaching a top Amazon reviewer. There is more – and I really appreciate it. I will be looking forward to your newsletter during my first book launch and onward to my career!